Diamond Oasis (Lonhro x Siwa) was purchased by Champion Thoroughbreds at the 2012 Melbourne Premier Sale for $80,000 from the Supreme Thoroughbreds Draft. 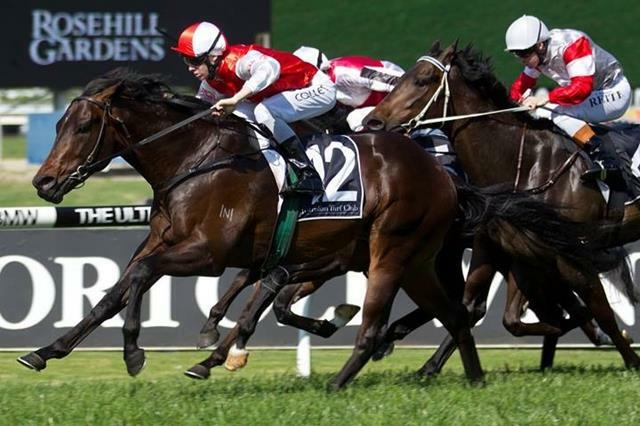 Diamond kicked off his career with a promising debut win at Gosford over 1000m under the care of John O'Shea. During his time with John, Diamond had 14 starts for 2 wins as well as stakes placings in the G3 Kindegarten Stakes, Listed Heritage Stakes and the Blue Sapphire. Diamond was transferred to trainer Joe Pride at Warwick Farm in August 2014 when John took up the position as head trainer at Godolphin where he enjoyed instant success. He won 3 of his 4 races in his first preparation with Joe including an impressive victory over 955m at Moonee Valley carrying 61kg with Nash Rawiller in the saddle. He then went on to win the Camarena Handicap at Canberra over 1000m defeating the likes of The Monstar and Rose Of Falvalon. His last win for Champion came on Boxing Day 2016 at the Gold Coast where he took out the hotly contested Bat Out Of Hell over 900m with Dwayne Dunn in the saddle. Diamond had 30 career starts for 7 wins, 4 seconds and 4 thirds earning $472,665 in prize money for his owners during his career with Champion. He raced during Australia's biggest carnivals including Cox Plate and Derby Day and gave his connections a ride to be remembered.